And, I don’t know about you, but it’s that time of year for me. While I try to set new goals year-round, something is always special about the start of a calendar year. I guess I think of it as a time for renewal – which, for me, seems to always be a great opportunity to reevaluate what I’ve been putting on my plate. A few healthy mushroom-centric meals make sense right now, especially as the vitamin-D-packed fungus is available from at least two local growers virtually year-round in southeast Texas. Keep spirits high even when the temperature is low. 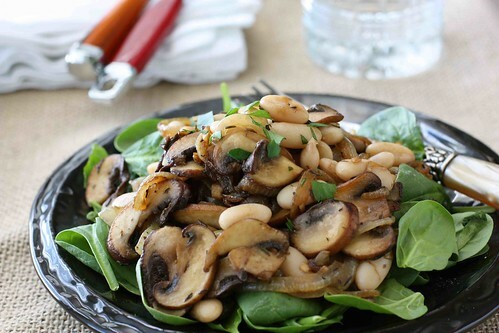 Mushrooms’ mood-boosting vitamin D and immune-strengthening antioxidants will help beat the winter blues. They’re filling, low-cal and pack a big nutritional punch to help manage your weight to keep New Year’s resolutions on track. 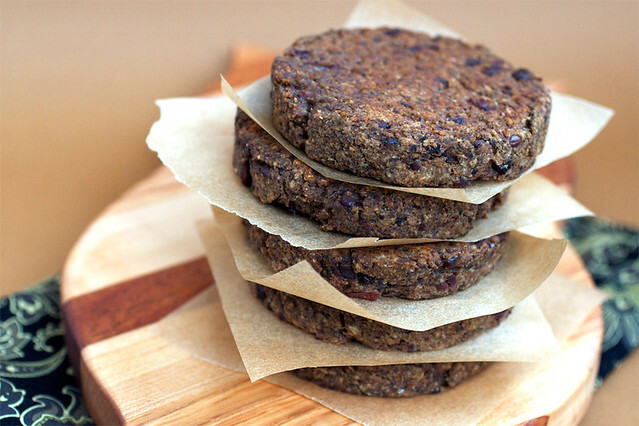 And, if you set out the new year resolved to add more (or only) vegetarian meals to your diet, you are in luck. 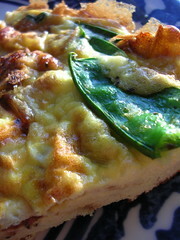 The mushroom is often the foundation of many a meal thoroughly enjoyed by your most carnivorous of friends and family. Now, what to make? Here are a few ideas for healthy mushroom entrees to help you get through the next few winter months with an eye toward bikini season. As noted in the Kitchn’s review of David Tanis’ new cookbook, “although many vegetarians…are understandably tired of pasta, this deeply satisfying autumnal dish isn’t so much a pasta as a rich mushroom stew that would be just as wonderful with warm polenta, steamed rice, or other grains.” Sounds like just the warming dish I need to keep the (intermittent) cold weather at bay. This healthy breakfast, winning brunch entree or quick, week night dinner can easily feature mushrooms to add a hearty note. 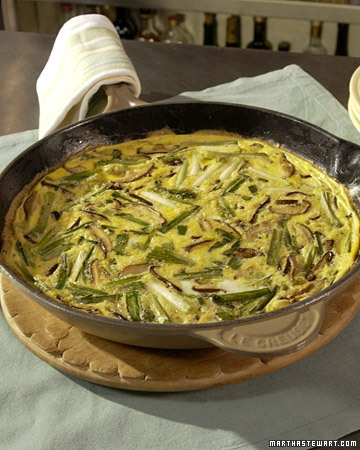 Try the Avocado, Mushroom, Spring Onion Frittata adapted from The Best Recipe and shared by Gluten Free Girl or the Mushroom and Scallion Frittata on the Everyday Food Blog. Either will give you a foundation recipe for anything you can find in your crisper and want to throw in. While you are making brunch dishes (and eating so healthy in the new year), save this little gem for a lazy weekend morning when you are ready to reward yourself for that BIG workout. (Absolutely necessary as the hollandaise sauce is both delicious and sinful.) The Cozy Kitchen recipe will give you great fundamentals, though I might suggest using a thinner slice of bread (or half of one of the excellent English Muffins from the Central Market bakery). 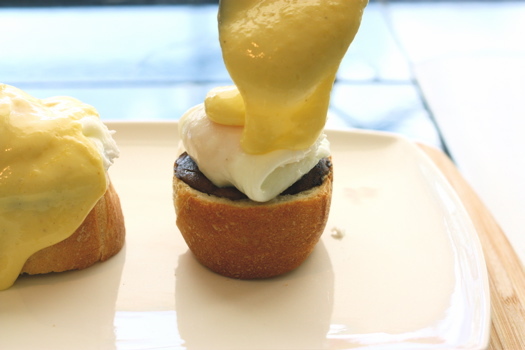 And, in case you haven’t made hollandaise before, the blender method is definitely the way to go. This lovely, healthful salad from Cookin Canuck would make a perfect lunch or even a light dinner. Yum! I love that this delicious, center-stage vegetarian entrée not only features mushrooms galore, but farro – a hearty, delectable Italian grain sure to fill you up. Enjoy the eight-serving dish as the center of a dinner party or one night with your family – and again for lunch the next day! If you are a regular reader of T-Bones and Tofu, you know about my love of soups, especially from 101 Cookbooks. 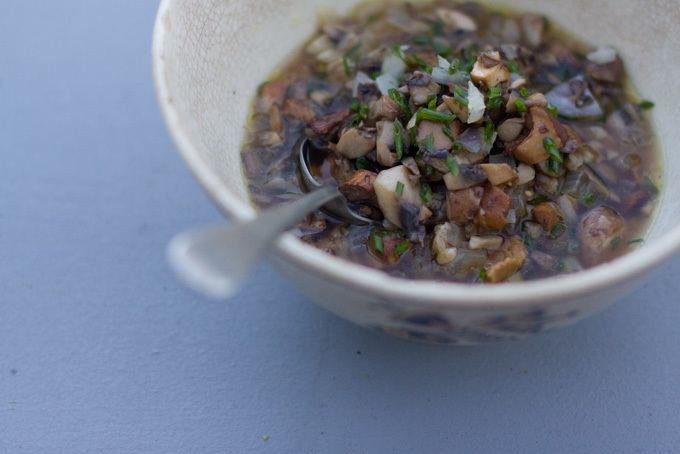 It’s no surprise to me that the site offers up a healthy, savory, hearty soup centered on mushrooms in all their glory. Honestly, I haven’t had a chance to make this one – yet – but if past performance is any indicator, Heidi Sawanson’s soup recipes never fail to please. 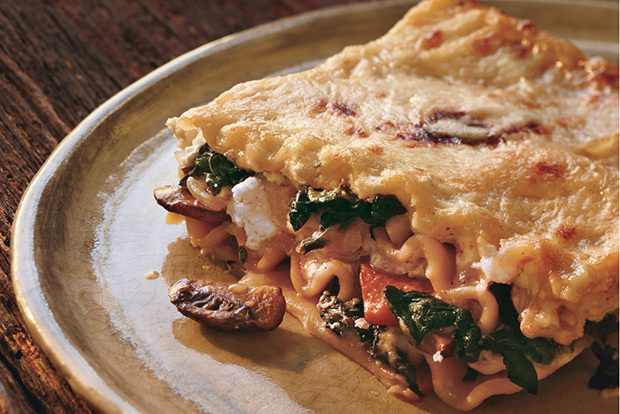 Because I have been craving lasagna (not healthy, but oh so winter-y) for weeks now, I have to end this list with a suggestion for a delightful and surprising combination that will satisfy and intrigue. Enjoy! An aside: While I can always find sliced button mushrooms for less than their whole counterparts, the day will come when mushroom slicing is necessary. Check out this knife safety and chopping how-to video to reconnect with your inner chef. Your mushroom recipes look delicious! I can’t wait to try them out, because I too am a mushroom fanatic. I did not know that Texas had a mushroom season. I always thought that the climate was not conducive for growing them. I learn something new every day. Such a wonderful collection of mushroom recipe! Gorgeous photos!